Brett graduated from Auburn University Montgomery, where he earned a Bachelor degree in 1994 and Thomas Goode Jones School of Law where he earned a Juris Doctorate in 1997. 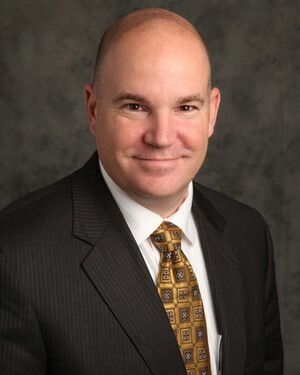 He joined Merrill Lynch in 2004 as a Financial Advisor in Global Wealth Management after 7 years practicing law as an Estate Planning and Real Estate attorney. Brett is currently in good standing with the Alabama State Bar but is inactive status when it comes to practicing law. Brett is dedicated to providing clients with the finest individually tailored approach to financial and investment strategies. At the heart of his philosophy is a passion to build enduring client relationships through his commitment to providing outstanding guidance and service in conjunction with the clients’ CPAs, attorneys, and life insurance specialists. Brett advises clients on wealth accumulation, preservation and transfer through the creation of individually customized wealth management strategies utilizing a defined process. This process includes portfolio development, liability management, tax minimization, and asset preservation with a specific emphasis on helping to facilitate a lifetime and retirement income stream. Brett also provides sophisticated strategies pertaining to concentrated stock positions, company stock options, liquidity and alternative investment strategies (where applicable). Brett views clients as family, knowing their hobbies, interests, and most importantly, their critical financial objectives. He works hard to help simplify the lives of clients and give them confidence that they can achieve their dreams and aspirations. Brett resides in Destin, FL with his wife and their two children. Chipser Wealth Management, LLC and Wells Fargo Advisors Financial Network are not tax or legal advisors. Insurance products offered through affiliates.